3 . All stem packing is located below the stem threads prevent galling , corrosion and contamination by the process medias . 4 . The packing is adjustable with less possibility of bonnet / body leaks . 5 . Full back - seated bonnets prevent accidental stem removal and blowout . Unique design minimizes emissions while offering easy access to the packing . 7 . Pressure rating at max . temp . : PTFE - 4130 psig at 450 ℉ ( 284bar at 232 ℃ ) and Grafoil - 1500 psig at 1000 ℉ ( 103bar at 537 ℃ ) . 2 . The other material and bonnet type is available upon request . 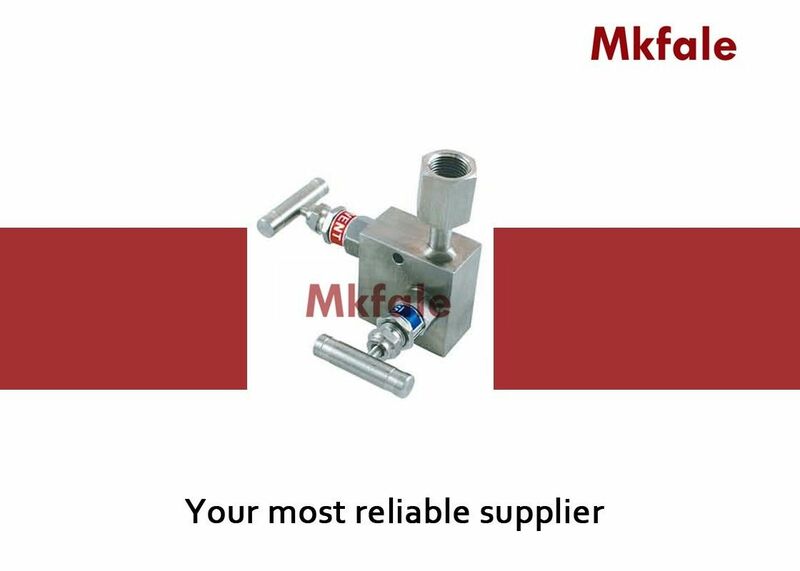 Two valve calibration mainfold provides an economical and convenient method of blocking , bleeding and calibrating pressure instruments . 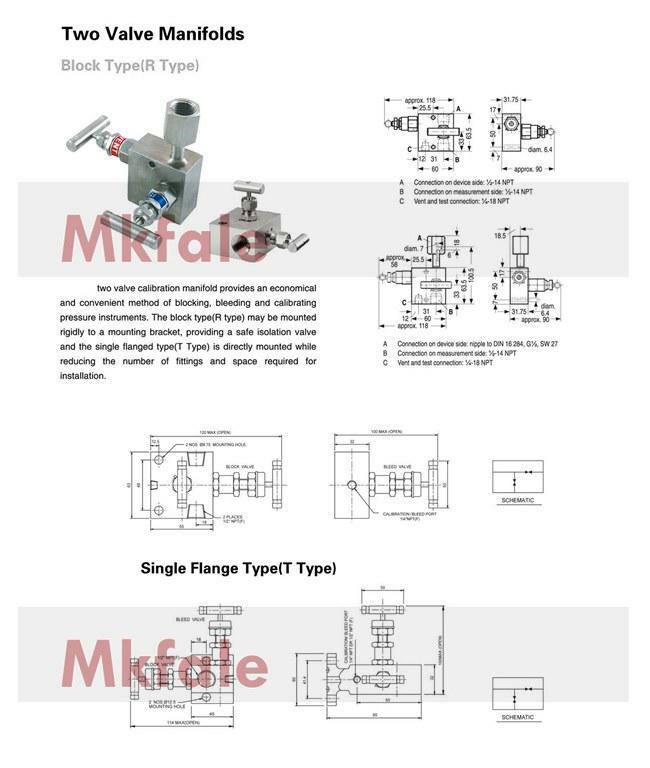 The block type ( R type ) may be mounted rigidly to a mounting bracket , providing a safe isolation valve and the single flanged type ( T Type ) is directly mounted while reducing the number of fittings and space required for installation .